Our present moment in time is one of the greatest in history for purchasing the home of your dreams. Since interest rates are so low, mortgages for buying a home are attainable! If you have a good job and decent credit score, banks will likely work with you so you can be on your way to fulfilling your dreams. Vermont is a desirable place to live. Raising children here is safe, there is plenty of land to roam on, and the mountains are a serene spot to vacation and gander at the scenery. Why waste another moment of your life throwing your money away on rent when you can have equity in the best form of investing in our free world? Our team will help you make informed decisions during the process. We have experience in the economic process and will be here to consult you every step of the way. The average mortgage rate is under 5%. Best way to find out your monthly payment for a specific home is to utilize our mortgage calculator. Check out our list of local mortgage lenders. 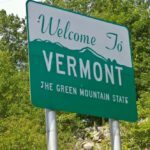 There are many more throughout the Green Mountain State, but this list should get you started. Make sure to call around for comparisons to be sure you get the best deal!